Again this year, Wittmann will be presenting its state-of-the-art product range at the Chinaplas. Visitors to the most important plastics trade fair in Asia will once more have an opportunity to view an extensive range of robots and peripheral equipment. A few selected highlights are presented below. The W818 model with 6 kg payload is particularly suited for installation on injection molding machines with up to about 200 t clamping force. All main axes are equipped with motorized servo drives. Short parts removal times are vital especially for smaller injection molding machines, and the W818 fully meets this requirement. The robot comes with ribbed aluminum profiles in the vertical axis to minimize moved masses. The control cabinet is integrated. The model is also available as a W818S (with a subarm for sprue picking), a W818T (with a telescopic vertical axis) or as a W818TS (with both a telescopic subarm and a telescopic vertical axis). The robot will be shown at the Chinaplas 2017 in the last mentioned version, a W818TS. Applications for the W818 robot series range from simple pick & place tasks to complex production cells with sophisticated automation modules. Similar to the mechanical concept of the smaller W818 robot, the W828 also has a demolding axis on a fixed horizontal profile. Here too, the control cabinet is integrated. At the Chinaplas, the W828 model will be exhibited with servo-numerically operating additional B/C axes. The vertical axis has a maximum length of 1,400 mm. The payload is 10 kg. W828 robots are ideal for installation on machines ranging from 200 to 400 t in clamping force. From the company’s range of dry air dryers, the ATON2 F70 segmented wheel dryer will be showcased in Guangzhou, which is manufactured at the Wittmann plant in Kunshan (China). It combines a constant dew point with extremely easy operation and minimal maintenance costs. The segmented wheel consists of many chambers loosely filled with desiccant balls. This type of filling provides excellent energy utilization and unsurpassed dew point behavior. 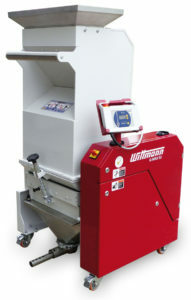 A direct comparison with conventional wheel dryers reveals a substantial reduction in energy consumption for the segmented wheel dryer from Wittmann. ATON dryers are available in several different sizes, with dry air capacities of 30 m³/h, 70 m³/h and 120 m³/h for material throughputs of up to about 70 kg/h. At the Chinaplas 2017, a second dryer of this type will be presented in the BS/6 variant. This option allows the integration of a conveyor blower fan inside the frame under the dryer unit. The dryer and the conveyor can be set and operated individually for maximum flexibility and the greatest possible production reliability. 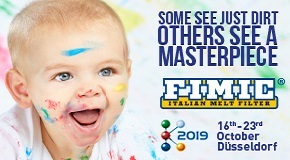 At the Chinaplas 2017, the Feedmax S 3-net material loader will be on display, which offers all of the excellent attributes of its predecessor models, but comes with several additional interesting features as well. The Feedmax S 3-net material loader is the optimal material loader for flexible feeding of material quantities of up to 120 kg/h in continuous operation. A special feature of Feedmax S 3-net is its status display, which is visible from all directions and is known as ambiLED. It enables operators to read the status of the appliance from anywhere on the production floor. The new net5 system control system is available as a special option for Feedmax S 3-net. It operates with the Teachbox basic, whose user interface enables the administration of up to 24 material loading stations, up to two vacuum circuits plus an additional full-fledged stand-by vacuum circuit, as well as up to four Aton dryers. It is also able to handle filter stations and discharge valves. Connected appliances are recognized automatically. They are visualized on a high-resolution 4.7″ touch display. The Gravimax G34 gravimetric blender to be shown at the Chinaplas can handle a hroughput of up to 200 kg/h. Its control system is equipped with a 32-bit, 1 GHz processor and a touch operating panel. 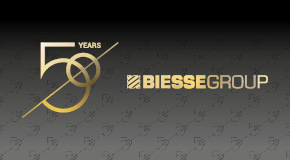 This ensures high performance and a further improvement in dosing accuracy. The proven stainless steel valves are suitable for metering any and all materials. They are ideally laid out for RTLS (Real Time Live Scale) operation, thus offering the highest possible degree of precision for every batch, by continuous weighing throughout the entire metering process. The Tempro basic C120 is an appliance with direct cooling and extremely compact dimensions. For the special needs of the injection molding industry, several equipment variants in terms of pumps and heating and cooling capacities are available. At the Chinaplas 2017, the medium-sized version Tempro basic C120M with a heating capacity of up to 18 kW will be showcased. The pump can handle a maximum of 200 l/min. The desired pump rate can be set between 0.75 and 1.5 kW. In addition to abundant standard features such as the permanent automatic cooling water bypass, there are numerous options to choose from as well: a serial interface, external sensors, alarm contact and, finally, manual mold emptying with compressed air. Tempro basic C90 and Tempro basic C140, also present at the Chinaplas are indirectly cooled, single-circuit temperature controllers with upper temperature limits of 90 °C and 140 °C respectively. They offer pump capacities of 40 and 30 l/min with maximum pump pressures of 3.5 and 5 bar. Their heating capacity is 9 kW. Tempro plus D is the name of the temperature controller series which represents the state of the art and is extremely easy to operate via its self-explanatory touch display. 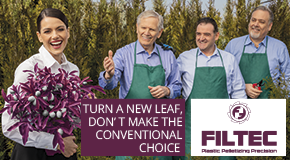 Numerous options make it possible to configure these appliances for virtually all applications found in plastics processing. An extensive choice of pumps, heating capacities and other options is available. Examples of this series to be shown in Guangzhou are a dual-circuit Tempro plus D160 and a single-circuit Tempro plus D180. A flexible, powerful and energy-efficient grinder with a belt drive and a completely new control system concept: that is the G-Max beside-the-press granulator from Wittmann, which can be controlled from outside its protective housing. G-Max 12 and G-Max 33 are the names of the models from this new series in different sizes. At the Chinaplas 2017, both these models will be exhibited for the first time in Asia. 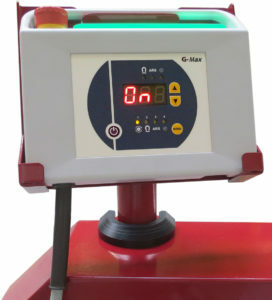 G-Max granulators are conventional beside-the-press granulators for grinding soft to medium-hard engineering plastics for injection molding machines with clamping forces of up to 400 t. These granulators are compact, operate with low energy consumption and come with sound insulation for the cutting chamber, which reduces the noise level. They are powered by IE2 motors for high energy efficiency. They have rotors with staggered knives and large cutting chambers. 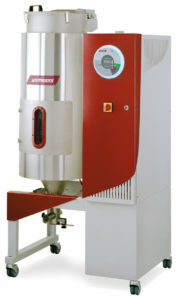 Depending on the model, granulating throughputs of up to 110 kg/h are possible. 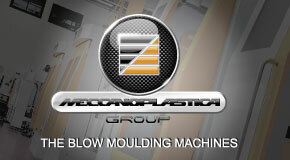 An interface is provided for communication with the injection molding machine. The connection cable between the control unit and the granulator has a length of three meters, which enables controlling of the granulator from outside its protective housing. 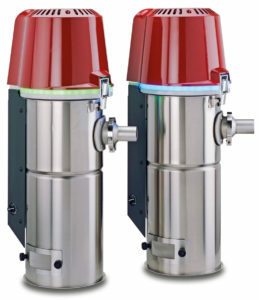 The screenless granulator models Minor 2 and Junior 2 Compact will also be on show at the Chinaplas. Junior 2 Compact is specially designed for granulating hard and brittle materials. 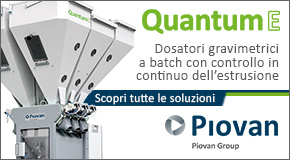 A space-saving, low-cost appliance used directly next to the machine to granulate sprue, it is compact and offers all the benefits of a screenless granulator from Wittmann: even granulate and no thermal degradation of the material. It reaches 20 kg/h in throughput and is ideal for injection molding machines with clamping forces of up to 300 t.
The Minor 2 model is ideal for injection molding machines with a maximum of 110 t clamping force. It reaches a throughput of up to 12 kg/h, operates with a low noise level, prevents material jump-back and improves the quality of the granulate.